The gun that was used to shoot and kill Lori Schubeler last weekend belonged to the owner of the Western Hotel in Callicoon, who was handling it when it fired, Sullivan County District Attorney Stephen Lungen said Friday. The 41-year-old Callicoon actress who was waitressing at the hotel bar early in the morning of last Sunday, April 13, was shot once in the left chest with the bullet entering her aorta and lung, the DA said. Investigation revealed the gun, a .25 caliber semi-automatic, belonged to Joseph Naughton, 64, the owner of the hotel. Lungen said the case will be presented to a Sullivan County grand jury to hear evidence. It will determine whether or not the shooting was a result of reckless conduct, criminal negligence or accident, said Lungen. The gun and other forensic evidence is being examined by the State Police laboratory in Albany. This will be my last post on the subject. I kind of drifted away from my normal subject matter, but this was a bit close to me. My next post will definitely be about the wedding in Mexico, a much happier topic. Nearly four days after the shooting at The Western in Callicoon the news about it is sparse indeed. In a small town where, supposedly, everyone knows everything about everything, nobody seems to know, or will admit to knowing, just what happened at the bar early Sunday morning. What seems to be known is that the weapon was a .25 caliber pistol, old but no antique. Lori was shot near the heart, her aorta was severed, and she bled to death. Besides Lori there were two other people in the bar, Joe Naughton the owner, and an as yet unnamed third person. One report stated that the shooter did not know the victim. If this is true then the shooter must have been the unnamed third person. However the various news reports have not only been sketchy, they have also been a bit inconsistent. Earlier reports seemed to indicate that the shooter did, indeed, know the victim. Also, one report called the shooter "the assailant" which kind of implies something other than an accident. So far the police have not arrested anyone nor, apparently, have they concluded whether the shooting was an accident or not. Or, at least, they aren't releasing the information if it is known. I do find it a bit strange that there is so little information being released about this tragic event. My personal interest lies in the fact that I have spent more then a little time at the bar here, have stayed at the Western Hotel numerous times over the years, and know Joe Naughton fairly well. The latest news that I have found on this was in the Sullivan County Democrat, which you can see by clicking on the link below. 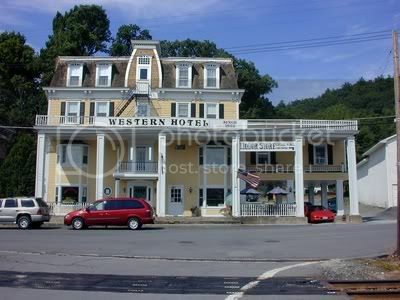 Just thought I would post some breaking news about The Western Hotel, a place I not only drink at on occasion, but also stay when I visit friends in Callicoon, a small town in upstate New York. CALLICOON - A 41-year-old Callicoon woman was shot and killed in the bar of the Western Hotel early this morning, the Sullivan County Sheriff's Office says. Lori A. Schubeler, a long-time waitress at the hotel, was shot around 12:30 a.m. and was pronounced dead at the scene. Sullivan County District Attorney Steve Lungen says police are still investigating whether the shooting was accidental or not. No one else was injured and detectives are interviewing persons who were present at the time of the incident. No arrests have been made, officials said. 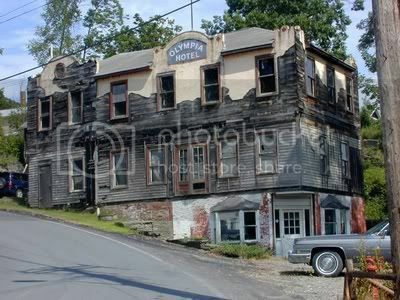 Below you can see my original post about The Western Hotel, bar number 672 on my journey towards 1000. This hotel was built in 1852 and still retains much of the same feeling of that long ago era. 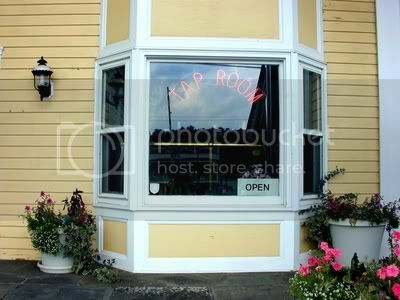 The current owner, a real character named Joe Naughton, has owned the place since 1969 and he and his wife Leona have spent a lot of time and energy selecting antique furniture and fixtures for the tap room, lobby, and dining room. The bar top itself is fairly new looking but I suspect that is just because it is so well taken care of. The front of the bar has a rough brick front and a brass rail The back bar is quite ornate with mirrors and cabinets with glass door at each end. There is kind of a plain red Formica top above coolers with wooden doors and silver latches and handles. A World War II era Marine issue shotgun with a bayonet hangs above the mirrors. The walls are dark red paneling and there is a new television above the jukebox on the wall opposite the bar. I don’t recall ever seeing the old one turned on though and this one was turned off too. There is an old barber chair off to one side and an upright piano that was being played by a young girl who was attending a wake. Apparently it was just breaking up because there were a number of people at the bar saying their goodbyes. It was one of the cheeriest wakes I had ever seen. In fact I asked the bartender if there was a wedding party going on. If you ever get to Callicoon be sure to stop in and say “Hi” to Joe. And if you want a place to stay, this is your only choice. Unless you want to stay at the Olympia next door. I had a glass of Sarnac Pale Ale.